Traralgon is a city located in the east of the Latrobe Valley nestled within the Gippsland region of Victoria, Australia. It is the largest, fastest growing city in the Greater Latrobe Valley urban area.The surrounding landscapes are fruitful and vibrant, similar to one of the areas true characters. Robert Matthews of Matthews Quarries. Whilst he spends most of his days foraging serious amounts of high-class aggregates, we were fortunate to have the opportunity to meet this absolute industry legend. When Robert first left school he worked as a boilermaker. After six years he decided to follow the elusive dream of working for himself and joined his father Keith driving trucks. Within twelve months Robert purchased his own truck and carted newspapers to Melbourne. After five months he knew his passions were far greater, the quarrying industry and large tip trucks were calling his name. In 1952 Roberts father Keith pegged out the tiny bush quarry that was to become the staple family business that has grown into the inspiring enterprise of today. Supplying aggregates, ballast, crushed rocks, sealing aggregates and everything in between. Today they are the giants of the Latrobe Valley. It wasn’t always this way however as Keith worked the humble bush quarry for a few years before shutting it down to commence the development in 1980. They continued driving trucks to generate an income however the ball was rolling and the dominating growth of Matthews Quarries was in motion. Overlooking the current facility is breathtakingly impressive. Robert is quick to point out that it certainly hasn’t always been. In the early days with the banks unwilling to loan them money, they were unable to get started. In a stroke of luck the Thompson Dam was being built, demanding a ready supply of rock and subsequently, Keith was granted a license. The quarry was now open for business. It was the APM, who are the forestry department that supplies the aggregates for all of the forestry roads, that are responsible for catapulting them into operation and who continued to support Matthews Quarries for the first five years. They started out with a brand-new Caterpillar 225 excavator, and their first crusher was primitive. They had an old Chamberlain wheel loader that earned its keep feeding the crusher and loading trucks. It was eventually replaced with a John Deere and quickly swapped with a Caterpillar 980B which was absolutely fantastic. They then went on to purchase a second wheel loader, a Caterpillar 1966B which was an ex-Army machine. They maintained that machine for a few years before replacing it with a Komatsu 500-1. The fleet continued to grow with the addition of another Komatsu 500-3. As the quarry expanded they started supplying significantly more aggregates and the Komatsu500-3 wasn’t able to keep up with demand. It was at this time that Robert became aware of the superior productivity of the Volvo wheel loaders in comparison to Komatsu. Another huge advantage is the fuel consumption, literally cutting the fuel in half and as a result, they have three, Volvo L250’s. 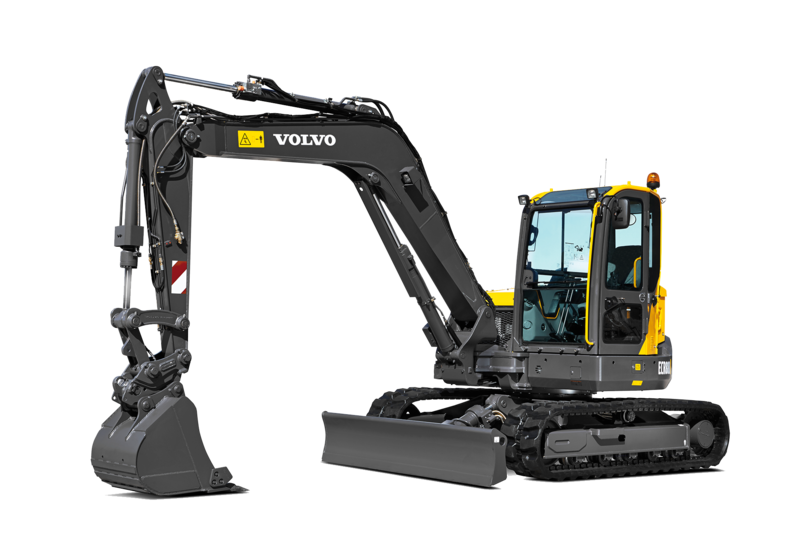 The next machine to join the convoy was a Volvo EC460 excavator, soon to be replaced by a Volvo EC480 and they have recently purchased a Volvo EC700, 70-tonne excavator. 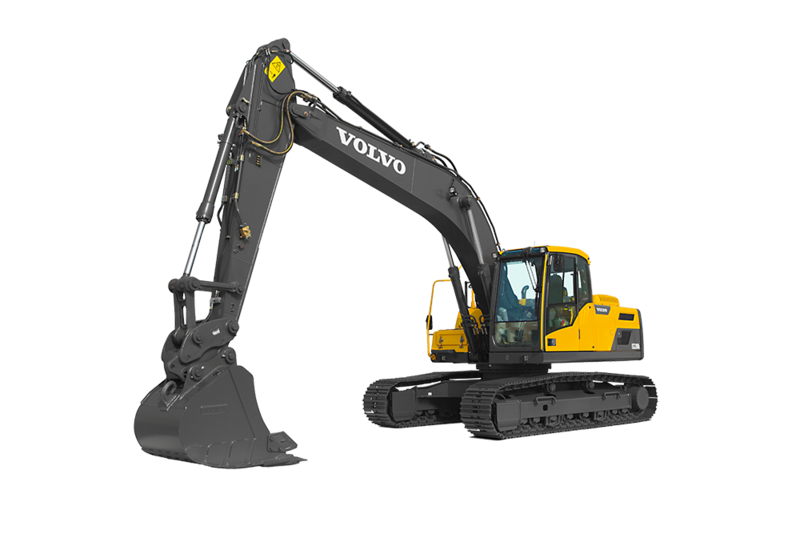 With a stringent succession plan in place, they are now looking to purchase one of the new Volvo EC750’s to replace the 48-tonne excavator. Despite scraping by on a shoestring budget at times, Robert emphasises the importance of having the absolute best top tier machines. 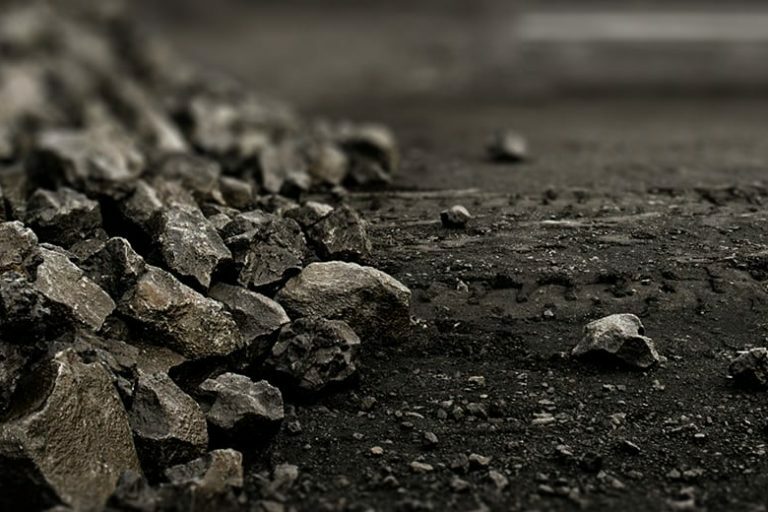 Without the machinery, there is no way to extract the materials from the quarry and every piece of equipment relies on each other, causing a catastrophic effect if one item breaks down. When buying machines, it is crucial to ensure you have exceptional backup service. Generally, the high-end machines come with a tailored backup service. 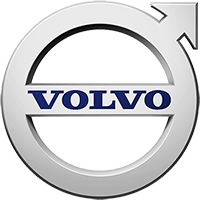 This you expect when you’re spending a considerable amount of money, however, the service from the Volvo dealer CJD Equipment, really is at another level to the competitors. 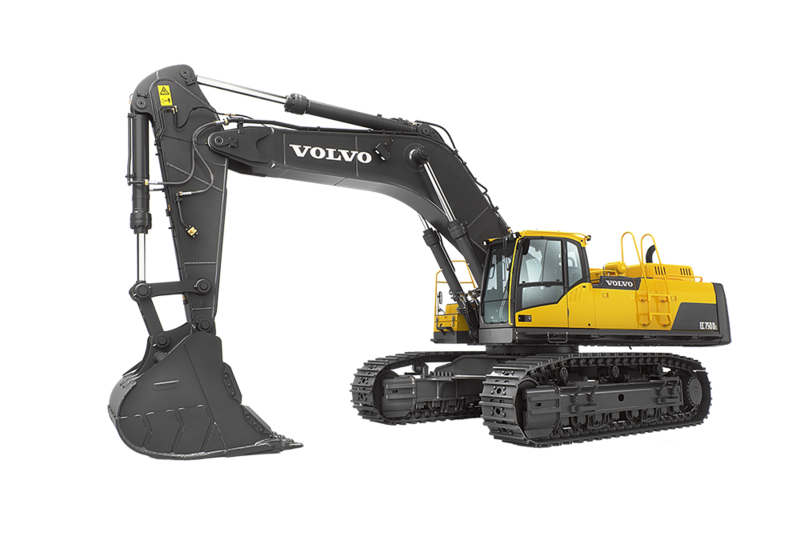 Within their fleet, they also own a 450 Komatsu, a Caterpillar 320 and 329 excavators. 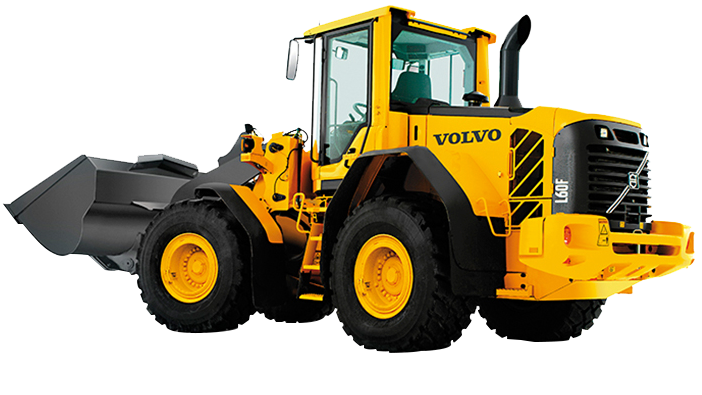 There are six Volvo A40 tonne dump trucks and a 775 Caterpillar dump truck. 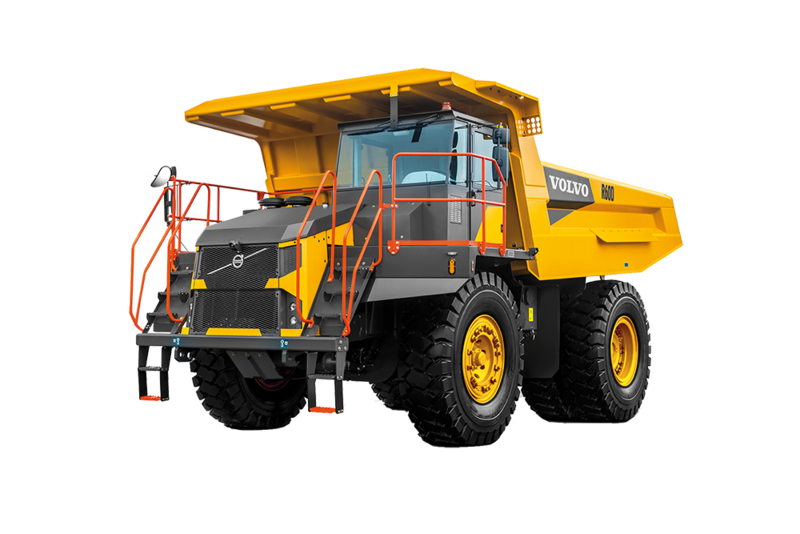 When comparing articulated hauler dump trucks, nobody comes close to Volvo and they have dominated the market for many years. 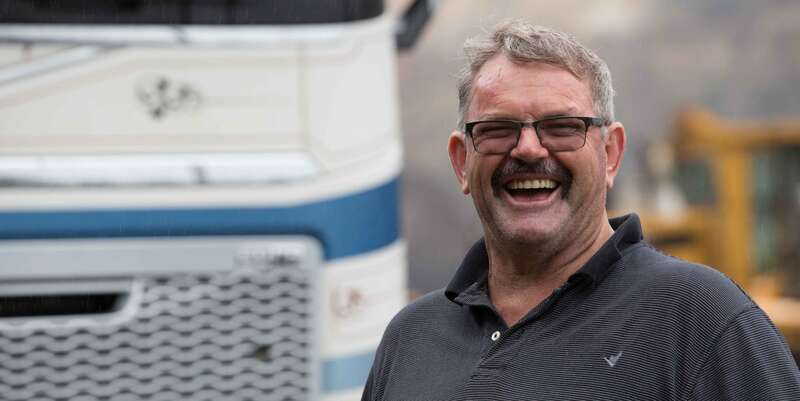 Robert’s brother Graeme manages the trucking arm of the business, positioned in the driver’s seat all day every day. 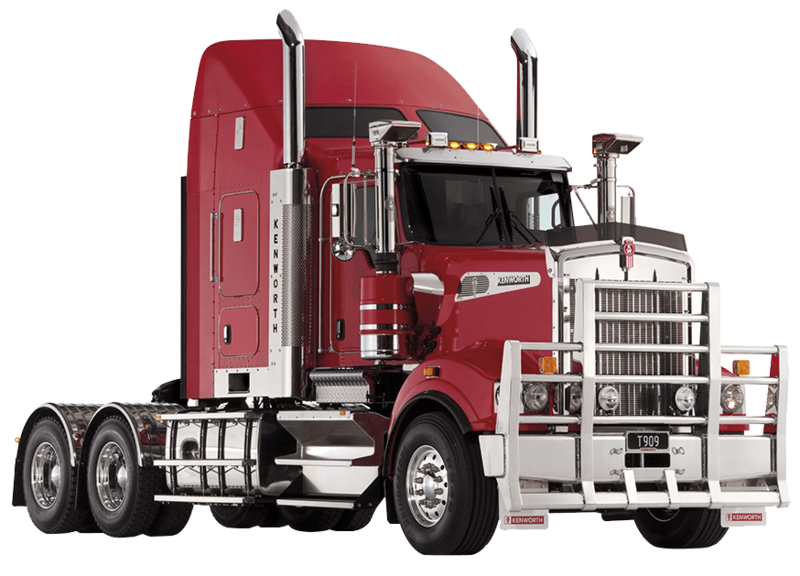 Graeme ensures they only select the best and most comfortable trucks. 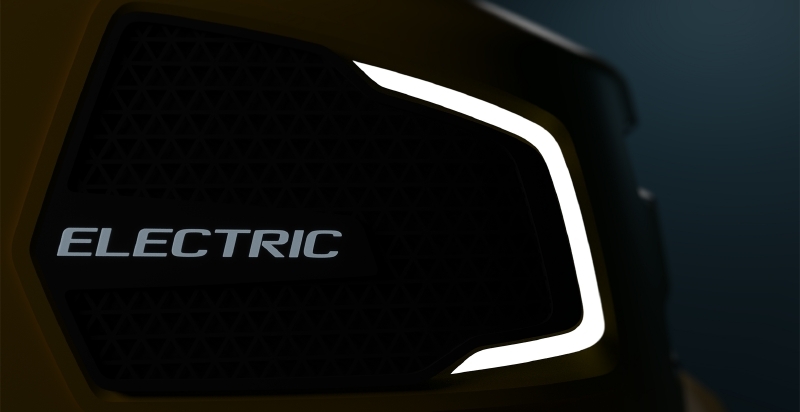 The Volvo leaves its competition for dead in all aspects of comfort, power, fuel efficiency and reliability. The quarry currently produces 500,000 tonne of aggregates each year. It is a cutthroat game and the materials extracted are typically needed immediately. If a customer isn’t able to source material for the job straight away they will go elsewhere. Often the material from Matthews Quarries will be going straight onto a major freeway, involving multiple other operators and equipment down the line. Standing around waiting for gravel is not an option. 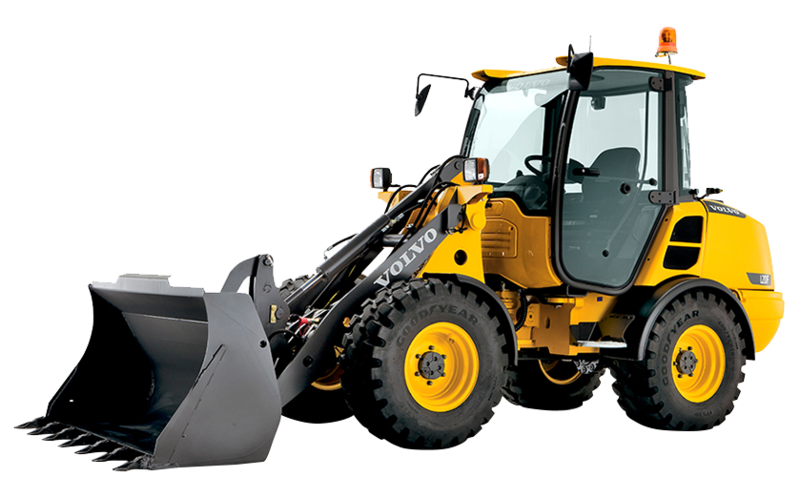 If there is a hiccup with one of the wheel loaders then the problem can quickly escalate out of control and nobody can afford for that to happen. The Matthews Quarries aggregates are also in demand due to their reputation of being able to deliver without any breakdowns. It is one thing to have the product however you also need to be known that you’re not going to let anyone down and this is where good reliable machinery comes into play. Matthews Quarries are known to have the best, well-maintained machinery available. If you place an order you can be assured that it is going to arrive at the promised time. 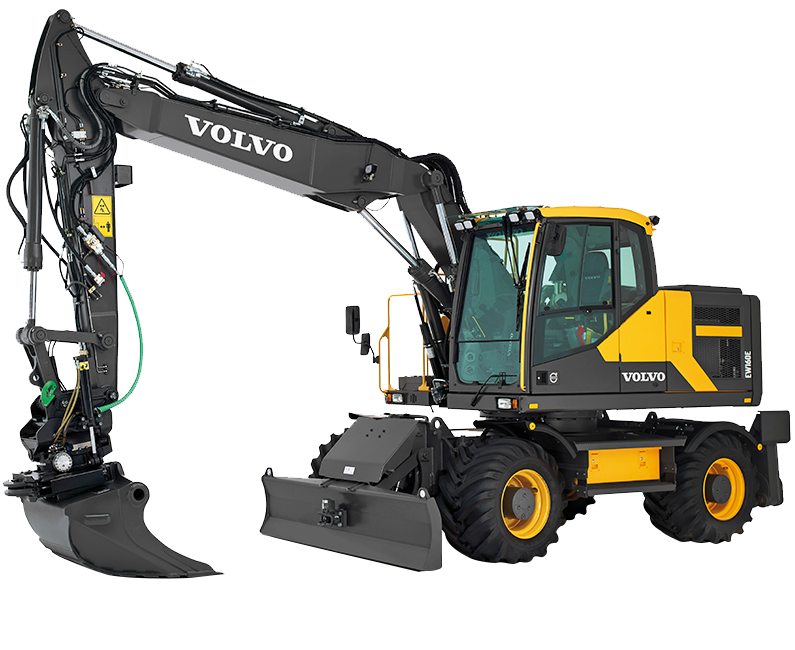 All of the machines are meticulously maintained by their own in-house workshop with a team of highly skilled mechanics ensuring every truck, excavator and wheel loader is kept in absolute tip top condition. Their mechanics particularly like the Volvos as they are effortlessly easy to work on and parts are readily available. The workshop holds a large range of spare parts for the machinery and fleet of trucks. The workshop manager John Ryan is phenomenal. He takes an enormous amount of pride in his job and the machines. The boilermaker Zach and the apprentice Josh are equally exceptional. With such a sizeable fleet of machines, it is fundamental to have skilled operators behind the controls. They are fortunate to boast some of the best in the area. Doug the quarry manager does a terrific job running the show and Nellie works in the lab, ensuring the quality of the material is kept to a premium standard. 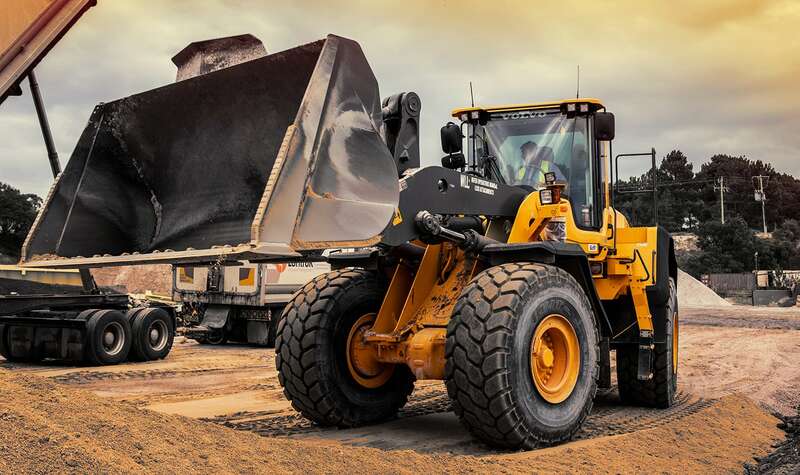 There are two full-time operators on the wheel loaders with several backup staff available when they need to have three working. In total there is twelve full-time staff working in the quarry who are all individually, tremendously important. Matthews Quarries is a family business and not just for Robert’s immediate family. The quarry feeds numerous families and for that reason alone it is important that they all work together. In addition to the immediate employees, there are multiple contract workers such as electricians who install new equipment and maintain all of the electrical. The electrical work in the quarry is state of the art, clearly championing the way of the future for other quarries. Stepping into the office on site, the wall is lined with big screen televisions displaying the status of every piece of machinery including its productivity levels. There are live streaming cameras all over the site so if there are any breakdowns you have a first-hand visual straightaway. Sadly in 1990, Keith Matthews died in a tragic accident. Naturally, Robert is still extremely upset over losing his father. Forced to operate in extremely tight conditions, unable to obtain extensions, the accident never had to happen. Twelve months after the accident they were granted the extensions by the government. Robert and his father had worked together all of their lives and this was a tragedy of unthinkable proportions. To ensure their father’s legacy remains the decision was made to work harder than ever. Robert and his brother Graeme together with their sister Sharyn manage the business. Together, they have been determined to tick off everything their father hoped to achieve. The expansion of the business is ongoing. 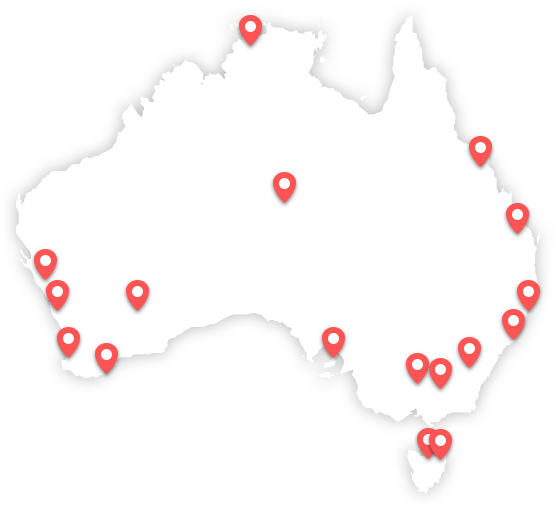 The quarries speciality will always remain in supplying high-grade aggregates for highways; concrete, hot mix plants and their products all over Victoria up to the New South Wales border. When we met with Robert, he was preparing for a six-hour round-trip in the morning delivering aggregates to a three-way job near the New South Wales and Victorian border. They are supplying two of the three sections of the new highways underway at the moment with crushed rocks and have just finished the Rosedale section. Robert is clearly innovative and passionate about the quarry industry. For the most part, Robert works in the quarry operating plant. There is not a single piece of machinery that he can’t operate as he would never ask anybody to do something that he wouldn’t do himself. There is no doubt that Robert is in a position that he could retire and step away from work if he wished, however, this is what he loves getting up for each day. His work colleagues are considered family members and he relishes working alongside his brother. Robert’s mindset is focused on growing the business. Having spent the majority of his life around the quarry and working on the business it has become his life passion. With such a strong focus and love for his job, it is understandable that Roberts time outside of work is limited. He works seven days a week and feels blessed to get up and work in one of Victoria’s leading quarries. The quarry now extracts over half a million tonne of aggregates each year and they expect to hit 600,000 tonne next year. 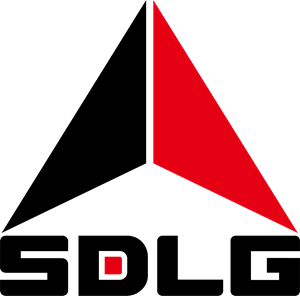 Armed with bigger machinery and after hours servicing they have the ability to further improve productivity so there is no reason they can’t achieve this goal. The quarry itself is still extremely viable with millions of tonnes still available to be extracted with an estimated seventy years of productivity. It is refreshing and motivating to have the privilege of sitting down with Robert and catching him in one of the rare moments that he isn’t working. Some people may say that they have made some gutsy decisions along the way however it has been countless hours of hard work and numerous times wondering when the next dollar is going to come in. If Robert, Graeme and Sharyn’s goal was to fulfil their father Keith’s dreams, continuing his legacy, then they have certainly achieved and exceeded. Each time we are driving along the roads in Victoria we will constantly be reminded of the Matthews hard work and their beloved quarry. We can’t thank Robert, Graeme and all of the staff enough, for their time showing us around their pride and joy. For all our readers, if you’re ever in the Latrobe Valley and you see a shiny Volvo tipper on the road, loaded with aggregates and the driver looks like he is loving his job just a bit too much, then it is a good chance you are passing one of the Matthews brothers so be sure to give him a wave.